Hoover Met Complex Sports Camps are the perfect way for any young athlete to spend their breaks from school! 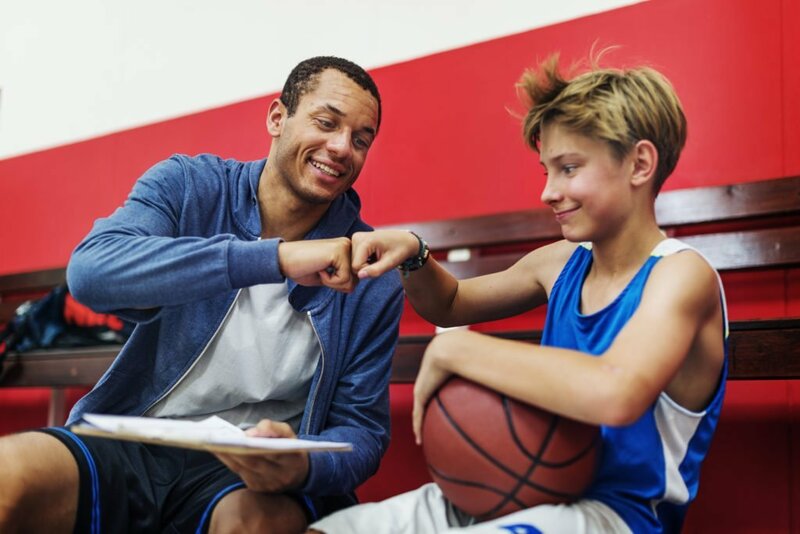 Sports camp is designed for the athlete who enjoys a variety of sports and recreational games. 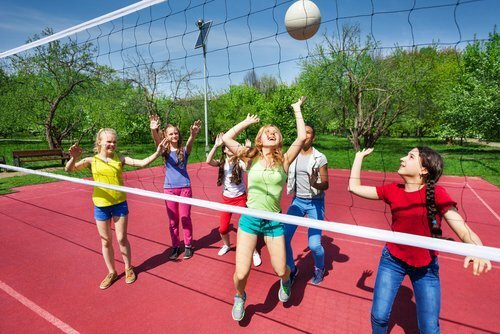 Athletes are taught sport specific skills and given the opportunity to compete in a variety of sports such as basketball, flag football, soccer, volleyball and more, while also enjoying some favorite recreational games like capture the flag, dodgeball and kickball. Coaches will focus on skill instructional, sportsmanship, teamwork and most importantly, making sure camp is non-stop fun for everyone! Register multiple siblings and receive 10% off camp price for each additional child. The weekly balance is due in full by end of business day each Monday prior to camp week. Each camp week will have a max capacity of 125 athletes. Once camp is full, a child can be registered online to the waiting list at no charge. When a spot opens for that week, the registrant will be contacted and must pay in full if they decide to register for that week. Deadline to cancel any camp registration is two weeks prior to start of the selected camp week. Registration will not be refunded if camp week is cancelled after the two-week notice. • Each athlete must be signed in by their parent/guardian with a camp coach/administrator. • All athletes will be gathered together on main court and will participate in daily assembly with Camp Director, Camp Coordinator and Camp Coaches. • Assembly will focus on teaching good sportsmanship through positive stories and motivational tactics. • Coaches will have a tip of the day or skill focus for the day. • Sport specific drills taught in multiple stations by coaches. Groups will rotate from station to station. • Speed & Agility drills will be incorporated during morning session to coincide with sport specific drills for that day/week. • Sport specific games that will emphasize skills learned during morning session drills and stations. • Lunch break begins with youngest group starting at 11:45am and final group finishing at 12:45pm. • Team orientation – athletes will be divided into teams for competitive games, as well as non-traditional games (kick ball, wiffle ball, relays, etc). • Teams practice with coaches and conduct team building exercises. 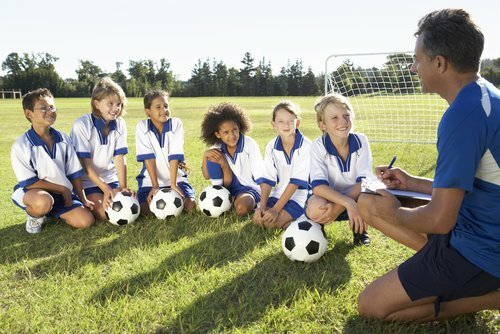 • Coaches will review the skills and sportsmanship tips learned throughout the day. • Parents/Guardians are REQUIRED to show pictured ID when checking athlete out of camp and must be listed on form as authorized to pick up athlete. • Coaches are not permitted to release athletes until proof of identification is provided. • Athletes will be separated by age group during dismissal to help maintain an orderly process for coaches and parent/guardian. • Late Pick-up is from 5:30pm-6:00pm and athletes will continue to play camp games during this period. **Camp Director must be notified in writing if anyone not listed on your registration form is picking up your athlete that day/week. 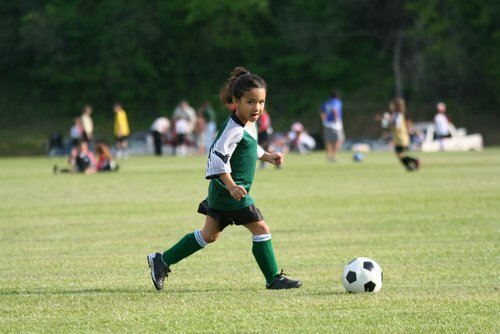 • Athletic and appropriate clothing for sports must be worn during camp. Any violation will result in the parent/guardian called to bring appropriate clothes or pick the athlete up from camp. • Sneakers/Tennis Shoes must be worn to participate in camp. Open-toed shoes are not allowed. • All items should have athlete’s name labeled on them and kept in a backpack or secured bag with name written on outside. • Water bottle with name written clearly on side/top. • Snacks are optional, but encouraged for morning and afternoon breaks. Snacks can include Gatorade/Powerade, fruit cup, banana, chips, etc. *Must be kept in closed container and placed in backpack. • Will be provided for those who registered for the lunch option. • If you did not select that option, athletes must bring a daily lunch with a drink. Lunch must be kept in closed container until lunch break. Valuables including: jewelry, money, smartphones, cameras, toys. These items can easily be lost or broken. HMC Coaches and Staff are not responsible for keeping up with personal possessions. If items are found at camp, they will be turned in to the Camp Director and given back to the athlete at the end of the day. No weapons, sharp objects and other hazardous items will be permitted at camp or on the grounds of the Hoover Met Complex. Any individual(s) in violation of this policy will be removed from camp and the Hoover Met Complex immediately without a refund of any kind.